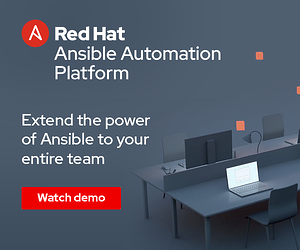 Today we're releasing Ansible 1.5, which contains the work of 192 different contributors (and countless others who have helped with ideas and testing)! Thanks very much for all of you! While a major focus of 1.5 has been about giving attention to incoming tickets (and wow, being one of the top 5 projects on GitHub for number of contributors keeps us busy! ), 1.5 features many new and excellent upgrades including Vault -- a method of encrypting data in playbooks, and SSH pipelining, a fantastic speedup to the OpenSSH transport that all but eliminates the need for "accelerated mode". Additionally this release finally removes deprecated features "when_integer/when_boolean" in favor of the much more streamlined "when" operator, and similarly the "only_if" language construct. These are features that previously emitted deprecation warnings in past releases. The git module also has a nice new "accept_hostkey=True" option, which can greatly simplify connecting to private repositories. There are also a great number of new modules and a lot more, so check out the Changelog file for more details. Ansible 1.6 starts now - and will feature, among other things, a big push to get a lot of incoming pull requests merged in. Everybody has been very busy and we want to open up the pathway for even more interesting things to come in. Once again, thanks to everyone who played a part in this release!